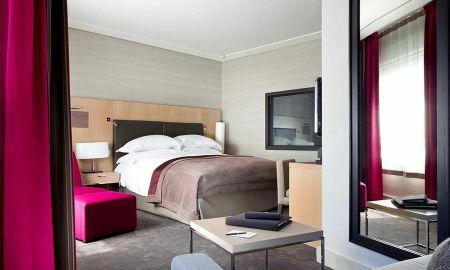 The Sofitel Paris La Defense is an oasis amid the hustle and bustle of Paris’ wonderful city center. Marrying innovation, art, and design, the hotel is perfect for an afternoon of work or relaxing with intention to rejuvenate. Rooms and suites are defined by naturally simple materials and the muted colors of brown and gray. 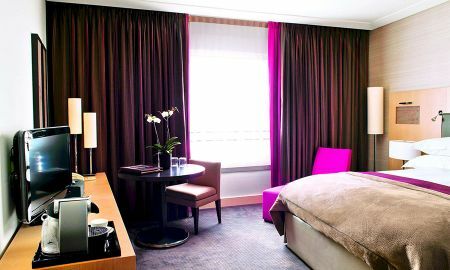 Vibrance give hints of life with modern innovation paramount among the hotel’s features. The Lounge, this 5 star hotel’s well established restaurant, is decorated with a glass ceiling, with light streaming in from above. A exotic melange of Mediterranean cuisine awaits each guest. 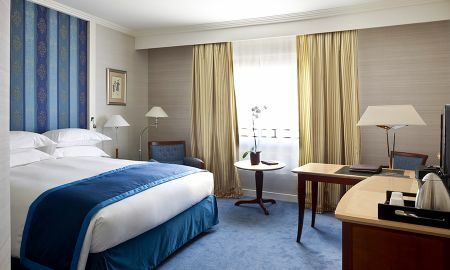 Anchored in one of Paris’ most well known business districts, this luxury hotel is just 5 minutes by metro from the Champs Elysees, well served by public transport. 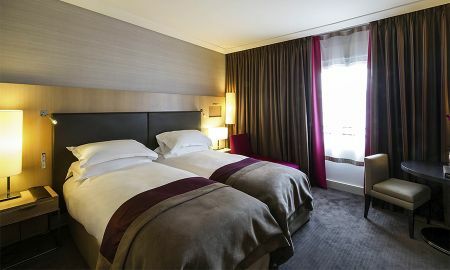 The Charles De Gaulle airport is just 45 minutes away. Price of breakfast during weekends and holidays: 22 Euros.